I am a very impressionable person. If I like you, and you like something - well, I like it too. 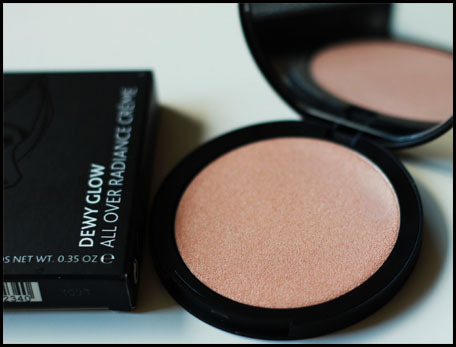 After hearing about this Jemma Kidd Make Up School Dewy Glow All Over Radiance Creme from Pixiwoo, I simply had to get it. They come in two colours - Ice Gold and Rose Gold. I decided to get the Rose Gold, because I was looking for a nice golden highlighter - the ones I already have are very cool toned. 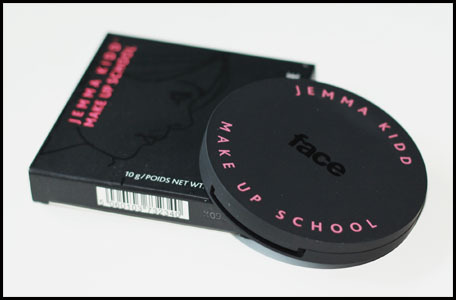 This creme comes in a gorgeous sleek compact case. The outer packaging is a little rubbery, so it picks up dust and stains pretty easily, but otherwise it looks lovely. It has a mirror, something I always like in a product's packaging, and comes with a little instruction booklet with tips on how to use the highlighter. The creme itself I can probably best describe as waxy, but it melts to the touch into an easily blendable creamy shimmer. It's winter here in Australia at the moment, and this still melts when my cold bony fingers touch it, so that's a major plus. 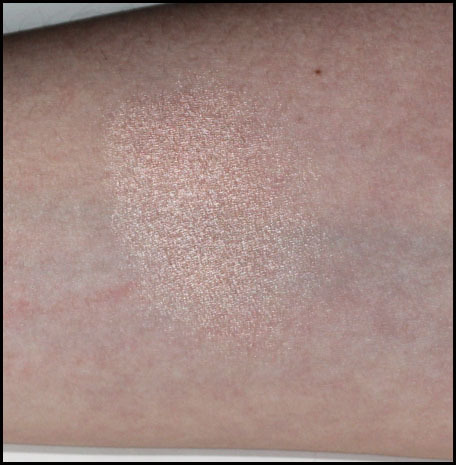 This highlighter isn't as strong or as pigmented as a lot of other highlighters I've tried, but it is buildable, and very forgiving on the heavy-handed. I like my highlighters strong, especially on the cheekbones, so I tend to get overzealous when applying. 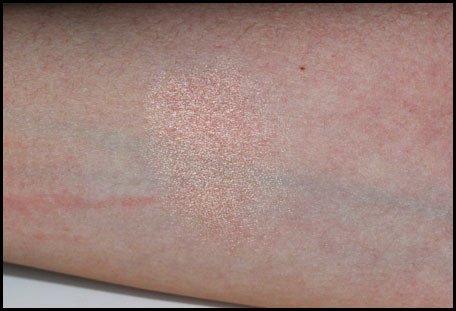 With this creme, I don't have to worry at all about slopping it on, because it blends like a dream and sheers out into a gorgeous subtle shimmer. These pictures are the perfect illustration of just how subtle the shimmer is, whilst still imparting this splendid glow to the skin. I am in the midst of exams, as you may already know, so I haven't gotten the chance to photograph a look with this creme on, but I will get right on it as soon as I can! Has anyone else tried Jemma Kidd products? They're all I want to buy nowadays - these and Beaute lip products, that is. Any recommendations as to products I should try from these brands?